You may be able to tell from her flawlessly homemade Halloween and winter carnival costumes and her impeccable style, that Grace Baldwin has an eye for design. Not only does she have an eye for design, but she has a truly innate artistic skill that is possessed by very few. Grace has been drawing for as long as she can remember. “When I was younger, maybe three or four, instead of drawing normal things, I would draw things like lamps and turtles drinking martinis, and that’s kind of how it began” she says. Her career as an artist has only escalated from there. Since coming to Episcopal High School as a freshman, she has taken art classes all four years and participated in the “afternoon art” program. She contributes much of her success to her experience at EHS, stating that Mr. Phillips has been an excellent teacher and mentor to her over the course of her time here, and has introduced her to “many new concepts, pushed her outside of her comfort zone, and helped her grow as an artist. Grace “prefers to draw mostly in pencil” and focuses a lot of her time in the art studio to drawing inanimate objects with carefully detailed shading. Most recently, she’s been working on an independent study with Mr. Phillips, drawing still-life objects on a very large scale, and focusing on shading and shadows. 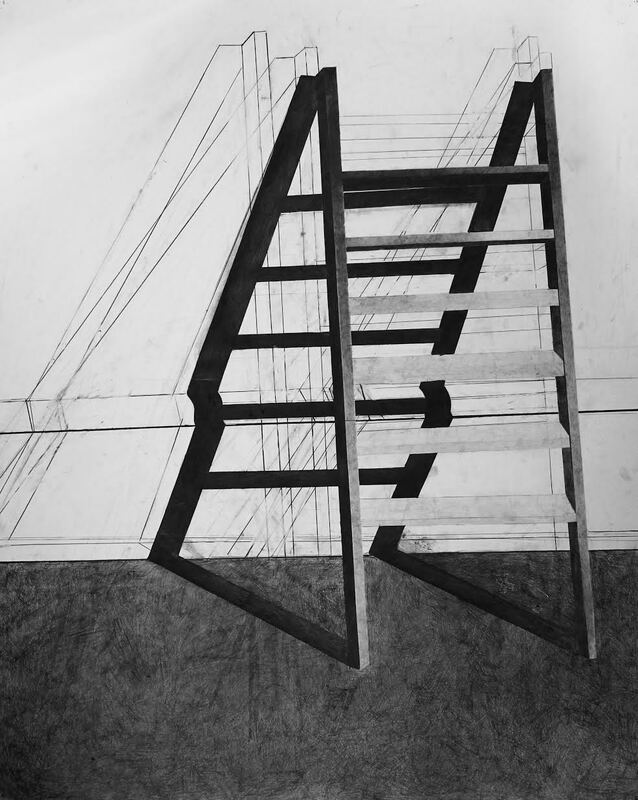 One of the pieces in Grace’s study includes a large scale picture of a ladder, for which she won the prestigious Gold Medal in the Scholastic arts awards. Grace attributes her love of art from her mother who is also an artist, and says she is her “main source of inspiration.” Her mother attended the esteemed University of Pennsylvania as an art major, and mostly focused on painting in her youth, but now owns a mosaic company. As for her future, Grace wants to go into business or marketing in college, but hopes to be able to minor in studio art, and definitely wants to continue to do what she loves, even if she does not make a career out of it.